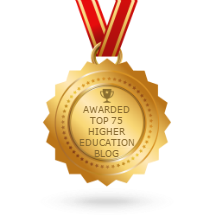 Two weeks ago, I presented a list of 10 expectations, predictions and suggestions relating to higher education that have received extensive media coverage in recent months. A week ago, in Part 2 of this topic, I selected three related topics from that list, and offered an opinion about what higher education can do to address them, and what is beyond our capabilities. Well, is higher education hidebound? Are we hopelessly mired in the past, unwilling to examine, let alone adopt, new ways of thinking about teaching and learning? Last week I complained about unreasonable expectations being placed on colleges and universities. I rather quickly assembled a list of 10 such issues (there are actually a few more), and I indicated that in Part 2 of this topic, I would offer an opinion about what higher education can (and should) do – and what is simply beyond our capacity to correct. It’s all about college completion rates. Last month, voting members of the American Studies Association passed a resolution calling for colleges in the United States to boycott Israeli universities. In the weeks since, that measure has been discussed, debated and reported on widely. In December, the nearly 5,000 members of the American Studies Association were asked to vote on a resolution calling for U.S. universities to boycott Israeli universities, based on a request for such a boycott by Palestinian academics. Just over 1,250 ASA members voted, and those voting supported the resolution by a two to one margin.